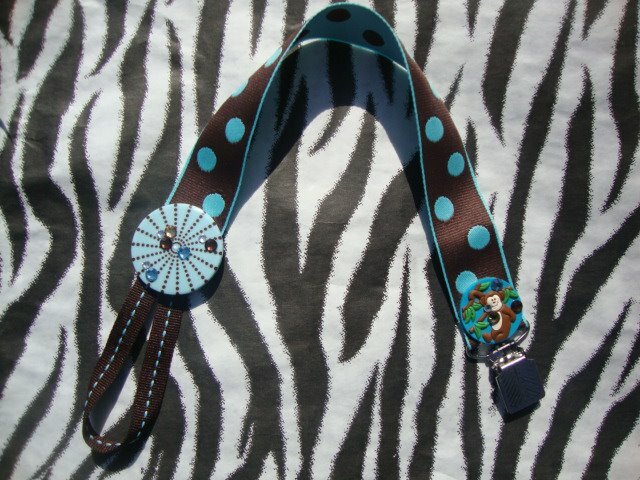 We create each of our pacifier clips. They are very unique and too cute! Embellishments may differ from picture. This is a stylish accessory to have if your child uses a pacifier. Pacifier clips are intended for use with adult supervision.